With Smartphones now outselling feature phones, there is more opportunity for marketers to leverage mobile to increase engagement with their loyalty programs. “The convergence of messaging and mobile provided by the Smartphone is a significant opportunity for loyalty marketers. Not only does it enable dynamic, targeted in-store communications, but it promotes loyalty redemption messages which the customer can bring into the store.” Says Ross Sibbald, Head of eMarketing at Striata. The rise of the Internet has created many new marketing opportunities for businesses, and the rapid adoption of smartphones and to a lesser extent, tablets, will generate even more. According to an article recently published on Business day live, the total smartphone user base in South Africa increased from 11.5 million in December 2012 to 14 million by the end of June 2013. Surveys indicate that loyalty members are eager to merge their numerous membership programs into the mobile ecosystem. The average American today is a member of 15 loyalty programs.” I believe this will soon become a trend in South Africa as well, based on the current upsurge in loyalty programs on offer,” says Sibbald. 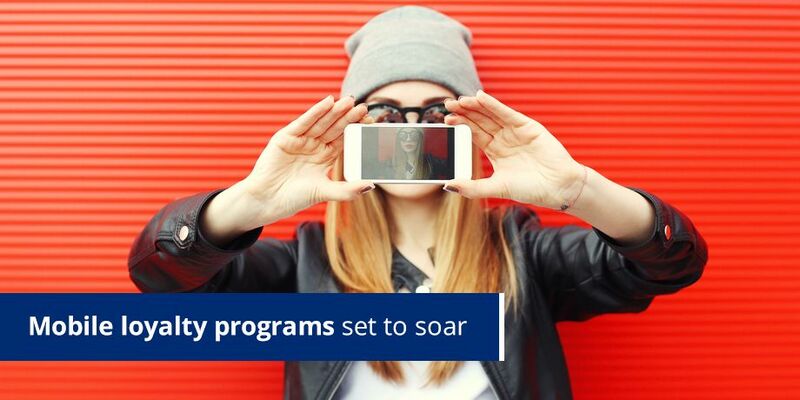 Mobile loyalty programs set to soar! Sibbald believes that mobile loyalty programs offer benefits for both consumers and companies. Companies will reap definite benefits because they can use mobile loyalty programs to identify and track who their active customers are, boost the user experience and ultimately increase their sales revenue. According to Sibbald, merging mobile and loyalty will allow for easier purchases. This then enables companies to gain insight into customer preferences, as well as what motivated or drove the consumer to make the purchase. Understanding this buying behavior will help companies better tailor their product offering. “A loyalty program should be omnichannel or at the very least multichannel. The focus should be on which channels are most effective, but more importantly those that are preferred by that specific consumer base,” explains Sibbald. With the increased penetration of smartphones, it follows that email engagement will continue to reach a larger audience. Loyalty App – smart apps deliver offers and deals straight to customers with ability to extract customer data based on their purchases. The store’s barcode can be scanned off the loyalty card with the app’s scanner and a rewards program can be assigned to the barcode. Customers can also join loyalty programs directly from the app. Text messaging – for those uncomplicated, time-critical or reminder messages, text messaging is the one channel that also reaches feature phones making it a valuable channel to drive loyalty customers to engage. Mobile web – for calls to action that are likely to be actioned from a mobile device – click-through should go to a mobile optimized web page. “Companies need to understand how customers want to engage with their loyalty program. Yes, a program offers tangible benefits. Yes, it may be well run and convenient. But consumers probably have at least 2 – 4 other loyalty programs of equal quality and efficiency. Loyalty marketers have to find a unique way to differentiate themselves from competitors – and if you ask me, it’s going to be about who offers customers the best mobile loyalty experience”, concludes Sibbald.